Home > Baby | TARGET > Fisher-Price Newborn Rock ‘n Play Sleeper Only $28.19 + Free Shipping From Target! 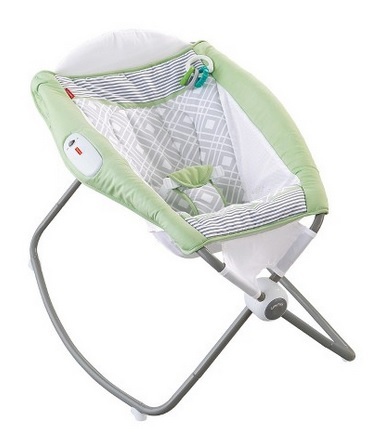 Fisher-Price Newborn Rock ‘n Play Sleeper Only $28.19 + Free Shipping From Target! February 8, 2017 2 Comments on Fisher-Price Newborn Rock ‘n Play Sleeper Only $28.19 + Free Shipping From Target! Target has the Fisher-Price Newborn Rock ‘n Play Sleeper (in neutral color, its the one pictured above) marked down to $46.99, plus you will save an additional 40% off in your cart to bring the price to just $28.19 + Free shipping (reg $59.99)!! Gilt: No Added Sugar Baby & Kids Clothing Sale – Save Over 50% Off! JCPenney Portraits: Photo Shoot With 1- 10×13, 1- 8×10, 4- 5×7, 8- 3.5×5 & 16 wallets Only $11 From Groupon (Perfect For Purim Pictures)! !